The news is out. It's what they've been searching for. In a groundbreaking discovery, a scientific team of Brazilians and Brazilian-born chemical ecologist Walter Leal of the University of California, Davis, has announced that the Zika virus has been detected in wild-caught Culex quinquefasciatus mosquitoes in Recife, the epicenter of the Zika epidemic. Scientists from the Fiocruz Institute, Pernambuco, confirmed the discovery July 21. The detection could have widespread repercussions, as the Culex mosquitoes are more common and widespread than the yellow fever mosquito, Aedes aegypti, known as the primary carrier of the Zika virus. 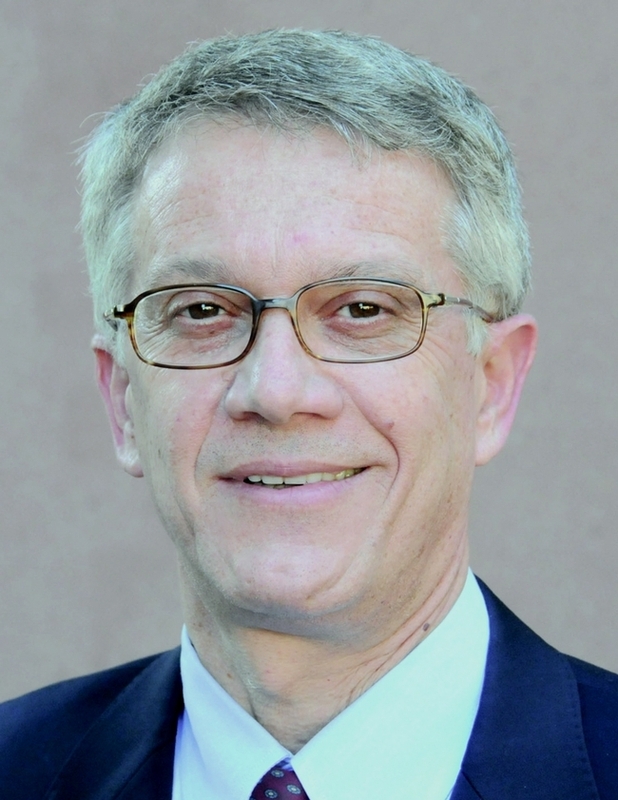 Leal, who collaborates with Fiocruz Institute researcher Constancia Ayres in a National Institutes of Health-sponsored project on the investigation of Zika in the C. quinquefasciatus, said that the Brazilian lab earlier discovered that Culex had the capability of transmitting the virus. 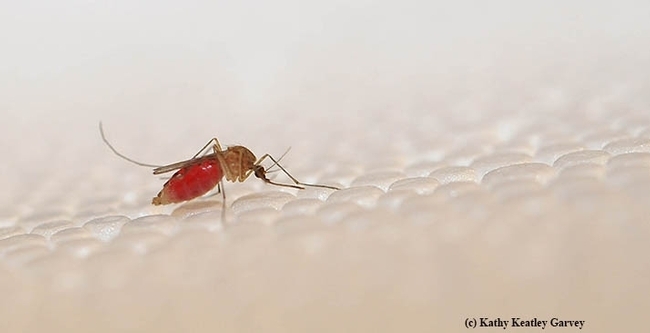 Although the scientists were able to infect the lab mosquitoes with the virus, they had not found the virus in wild-caught mosquitoes—until now. “This could have major repercussions here in the United States and in other parts of the world,” said Leal, a distinguished professor in the UC Davis Department of Molecular and Cellular Biology who is co-chairing the International Congress of Entomology meeting Sept. 25-30 in Orlando, Fla. The conference is expected to draw some 7000 entomologists throughout the world. C. quinquefasciatus, known as the southern house mosquito and the vector of West Nile virus, thrives in temperate climates, including areas of California and the southern United States. In Brazil, it may be 20 times more common than A. aegypti, a day-biting mosquito that feeds primarily on humans. 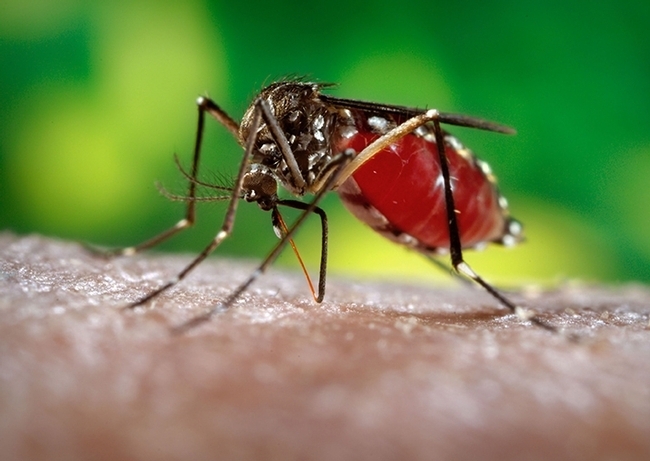 The mosquitoes differ widely: the yellow fever mosquito prefers urban environments and breeds in clean water, while the C. quinquefasciatus bites at night, breeds in dirty water and is commonly found in rural environments. A. aegypti is already established in California; it has spread to at least seven counties since its discovery in Clovis, Fresno County, in June 2013, according to medical entomologist Anthony Cornel of the UC Davis Department of Entomology and Nematology and the UC Kearney Agricultural Research and Extension Center, Parlier. The Zika virus, which can result in birth defects in pregnancy, can be transmitted through exposure to infected blood or sexual contact. The Centers for Disease Control estimates that between 400,000 and 1.3 million cases have been discovered across South, Central, and North America, where the disease was previously unknown. 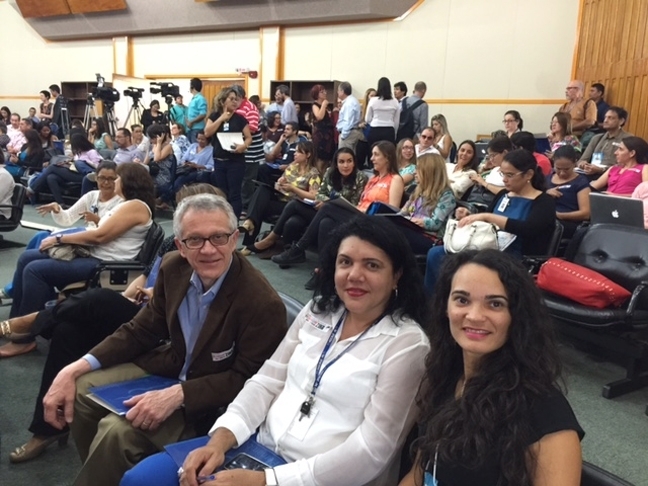 UC Davis chemical ecologist and mosquito researcher Walter Leal (front), confers with Constancia Ayres (far right, in black) and Rosângela Barbosa (center), faculty members in the Department of Entomology, Fiocruz-Recife. Both are Leal colloborators.